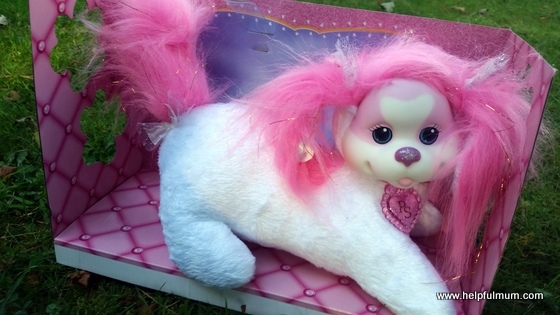 When I was growing up in the 90's, one of the toys I really, really wanted was a Puppy Surprise. That and a cabbage patch doll! 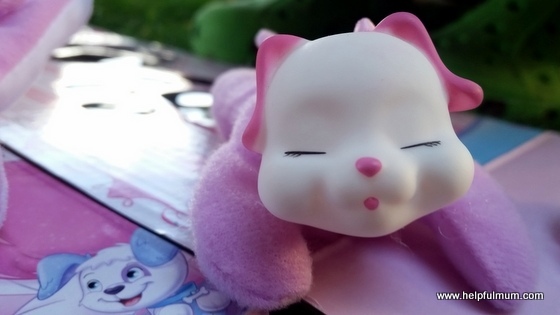 Seemingly, many of the toys which were popular when I was a child are coming back now. So when my daughter was offered a Puppy surprise, I jumped at the chance. The puppy comes with an unknown number of puppies inside it's tummy, either three, four or five and they could be a mix of boys and girls. My daughter adores dogs and is currently obsessed with babies being in tummies, so this seemed like the perfect toy for her to play with. The dog is a lot pinker than I remember and I was slightly concerned that my daughter wouldn't like it as she isn't that keen on pink. I needn't have worried though as she adored it instantly and was so excited when I told her that there were puppies inside the mummy's tummy. It was magical watching my daughter's face as she found out how many puppies there were. My daughter had three in her Puppy Surprise. There is no way of knowing how many puppies you are going to get with each pack, hence the surprise! 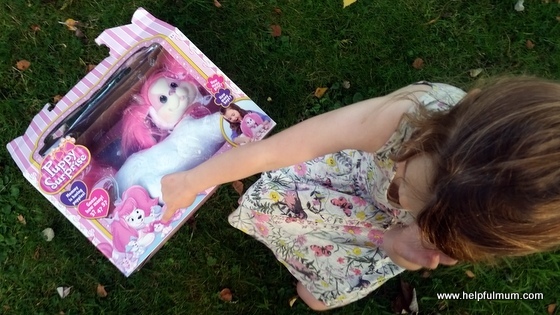 My daughter's dog is called Popcorn and it retails at £24.99 and is suitable for children ages four and up. The dog has been regularly groomed with my daughter's own hairbrush and hasn't had to go for a wash in the machine yet, which is pretty good going for a white toy! The puppies are very cute and they have accompanied my daughter to bed most nights. I love that becuase the puppies are inside, you are taking more toys with you but without the need for storage. It will definitely be coming on our next holiday with us! To find out more about Puppy Surprise, click here . I think this would make a wonderful Christmas present and it's definitely one to put on the list! Disclosure: We were sent this product for the purpose of review. All opinions are my own and this post is honest and fair. Links are affiliate.